The following companies have either provided our cats with free goodies or partner with us in their endeavors. This page is a plug for their amazing products. I and Love and You is a local pet food company that makes high-quality grain-free food for dogs and cats. They have been a frequent contributor of low-cost or free cat food to the café. Founded by Lance Harding and Sky Davis in 2018, Cat-Topia is a local business devoted to cat health by building custom cat enclosures for the outdoors, known as Catios. Cat-Topia is built for outdoor benefits while eliminating the risks the environment may bring to cats. 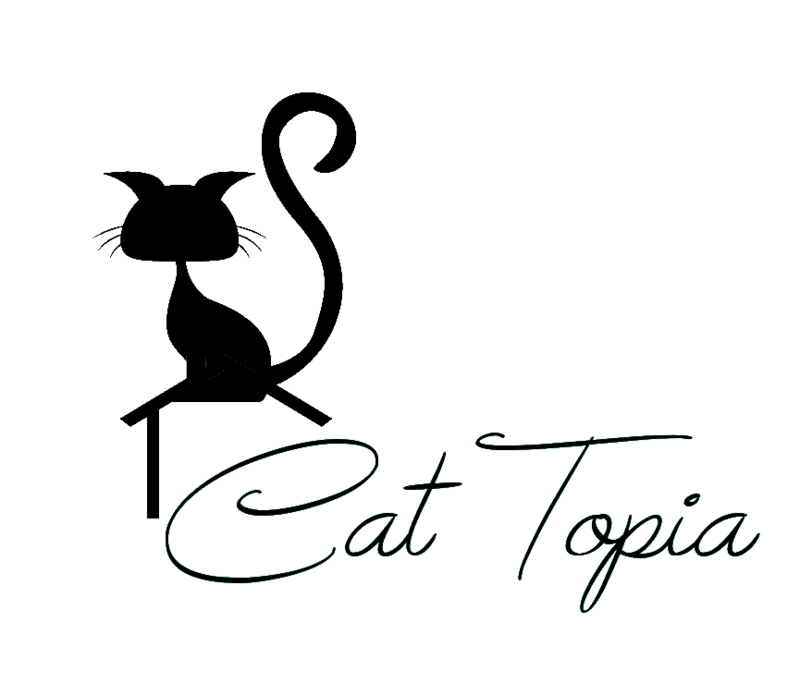 Cat-Topia builds off recycled lumber and believes in cat adoption by donating a portion of their revenue to local animal shelters who support feline adoption. Hauspanther sources gorgeous, classy cat furniture for your home. They have generously donated a beautiful walnut cat tree as well as some smaller pieces for our cats to lounge upon. Hauspanther was founded by Kate Benjamin, who knows a thing or two about catification and has written best-selling books on the topic.